A blood drive Saturday honored the memory of seven students killed when a Metra train hit their school bus. FOX RIVER GROVE, Ill. (WLS) -- A blood drive Saturday honored the memory of seven students killed when a Metra train hit their school bus. Sunday marks 20 years since that deadly crash in Fox River Grove. 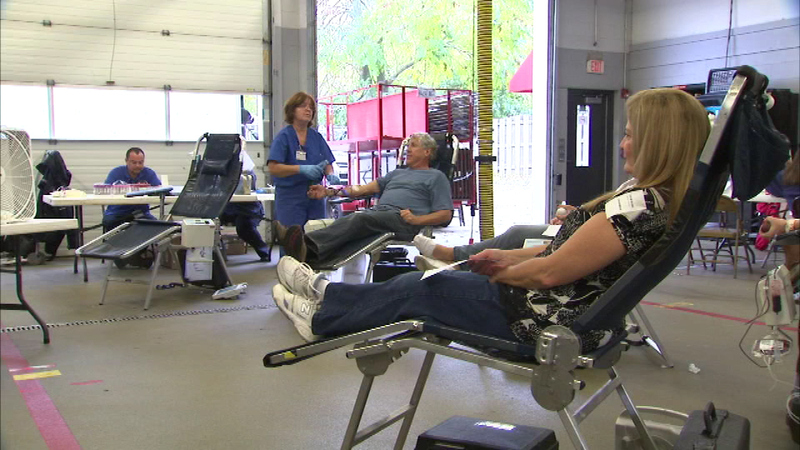 On Saturday, people from the community rolled up their sleeves and donated to the Seven Angels Memorial Blood Drive. It's something the fire department has sponsored for the past seven years. Deputy Fire Chief Jim Kreher says it's a way for people to help each other, just like they did on the day of the crash.